I was curious if you could talk about IMAX and 3D? These are both things that are…you really pioneered what IMAX could do with “Dark Knight” and 3D seems to be a revolution and it’s changing everything. 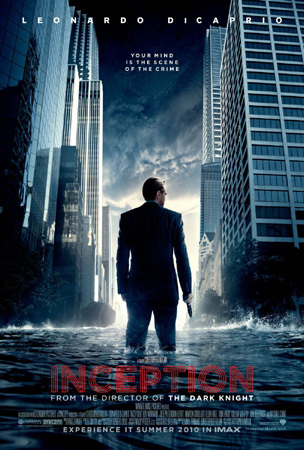 Could you talk about your feelings about 3D and also with IMAX, did you shoot any of “Inception” in IMAX or was it all done in post? Nolan: We shot the film with a mixture of mostly the predominant bulk of the film is anamorphic 35mm, which is the best quality sort of practical format to shoot on by far. We shot key sequences on 65mm, 5 perf not 15 perf, and we shot VistaVision on certain other sequences. So we’ve got a negative - a set of negative - that’s of the highest possible quality except IMAX. We didn’t feel that we were going to be able to shoot in IMAX because of the size of the cameras because this film given that it deals with a potentially surreal area, the nature of dreams and so forth, I wanted it to be as realistic as possible. Not be bound by the scale of those IMAX cameras, even though I love the format dearly. So we went to the next best thing which was 65mm. So we have the highest quality image of any film that’s being made and that allows us to reformat the film for any distribution form that we’d like to put it in. We’re definitely going to do an IMAX release. 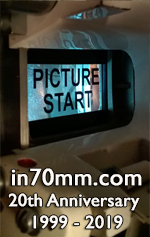 We’re excited about doing that and using our original negative 65mm photography to maximize the effect of that release. 3D I think is an interesting development in movies or the resurgence of 3D. It’s something we’re looking at and watching. There are certain limitations of shooting in 3D. You have to shoot on video, which I’m not a fan of. I like shooting on film. And so then you’re looking at post-conversion processes which are moving forward in very exciting ways. So really, for me, production of a large scale film is all about recording the best, highest quality image possible so that you can then put it in any theatre in the best way possible. And 65mm film, IMAX film, VistaVision, 35mm, that’s the way you do that.